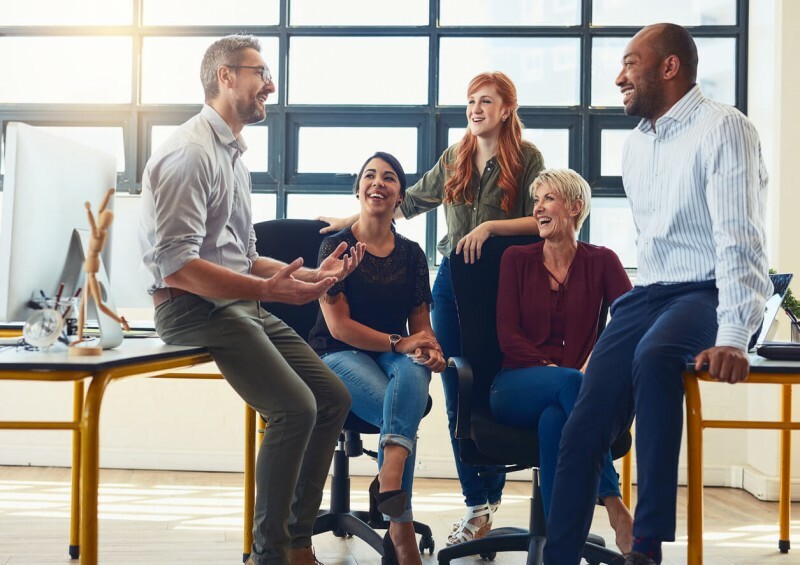 Looking after your staff should be one of the main priorities of any employer – after all, your staff are the very lifeblood of your business and keeping them safe and happy is a moral, as well as legal, requirement. Taking care of your employees can come in many forms - from keeping the tea and coffee flowing, to fostering a positive working environment, but while these management techniques are great, they come second to a strong financial and liability underpinnng for your staff. As soon as you are employing another person, whether or not it’s on a temporary basis, you must have employers’ liability (EL) insurance in place. This type of insurance protects your business should anything happen to your employee as a consequence of their position with you. It will cover the costs of compensation, including the legal fees, and protect your company from any direct financial responsibility. In the UK, Employer’s Liability Insurance is a legal requirement. Failure to have cover could result in a fine of £2,500 for every day it is not in place. Any business that employs person or more is required by law to have employers’ liability insurance. Temporary staff, casual workers and contractors may all count as employees and require insurance. A good rule of thumb is that if the business deducts National Insurance contributions and income tax from their wages, and is responsible for supplying the equipment used to do that job, then they are an employee. Subcontractors who are responsible for their own tax and NI and independently take care of their own tools are not classed as employees in this way and do not require the business employing them to have EL insurance. It is good practice to have EL insurance in place prior to employing anyone and during periods where there is temporarily no staff, if circumstances are expected to change. Can I employ anyone without EL insurance? Other than independent contractors, only family members are exempt from the need for employers’ liability insurance. What does EL insurance cover? Employers’ liability insurance is to cover any legal costs, including compensation payouts, if an employee suffers a work-related illness or injury and sues the employer as a consequence. While every employer has a duty of care to ensure that the work environment is a safe place for all employees, accidents do happen and it is important to have insurance in place for such situations. If you would like any help discussing employers’ liability insurance or any other aspect of business insurance, call our expert advisors now! As an employer, it is in your best interest to have healthy happy staff. One issue that has plagued employers, especially those of SMEs, is that of sick pay. While government supported Statutory Sick Pay (SSP) will prevent your employees from total financial ruin should they become sick for a substantial amount of time - it is unlikely to do more than keep their head above water. Company sick pay schemes are often relied upon to maintain staff financial security during periods of ill health, but who pays for them? Ultimately, sick pay is down to the employer, and covering the odd day off sick for a cold will come directly out of the businesses finances and is usually affordable, but when an illness is more serious and extends from a few days to weeks and months of absenteeism, what SME can honestly afford to keep supporting staff out of its own accounts, no matter how valued the employee? Thankfully, there is an insurance which can help lighten that burden significantly. Group income protection insurance (sometimes referred to as sick pay insurance) will cover salary payments for employees unable to work due to long term sickness or injury. Insurance companies are keen to understand the health of those they cover, and with smaller groups (typically less than 50 employees), they may expect individual medical checks to help with their underwriting. Contact our advisors today to discuss group income protection and other associated policies – we are always here for free impartial advice. As an extra benefit for your employees, a basic level term life insurance package, paid for as a group insurance package by the company, can be a strong enticement. This group life insurance is often referred to as “Death in Service”. While it is not a true replacement for individual life insurance, and should not be presented to your employees as such, a death in service package can give your staff the peace of mind that, should they die while part of the company, their loved ones won’t be left to struggle financially. A tax free lump sum for those they leave behind is a valuable benefit as part of your employment package and is likely to increase company loyalty with your staff – especially those with families. Obtaining a death in service insurance policy for your employees is relatively simple, and our advisors are happy to discuss your business’s needs to determine the right cover for you.